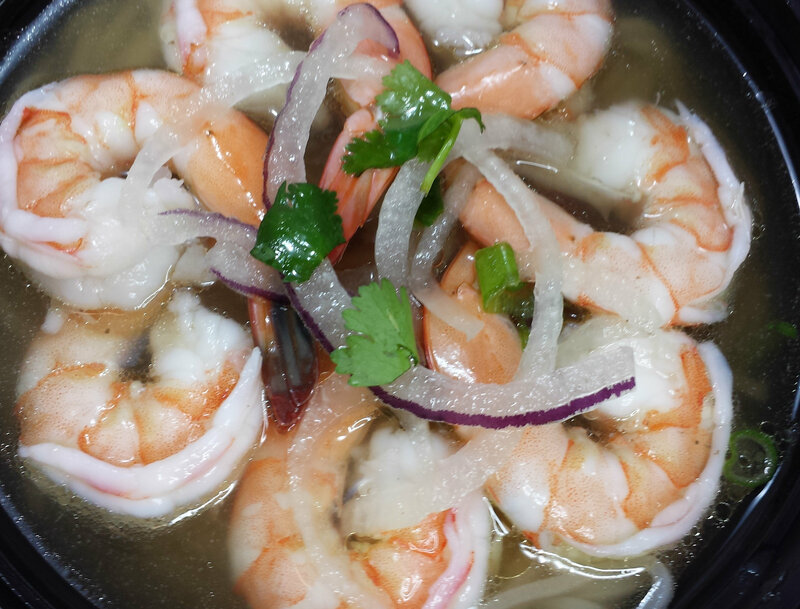 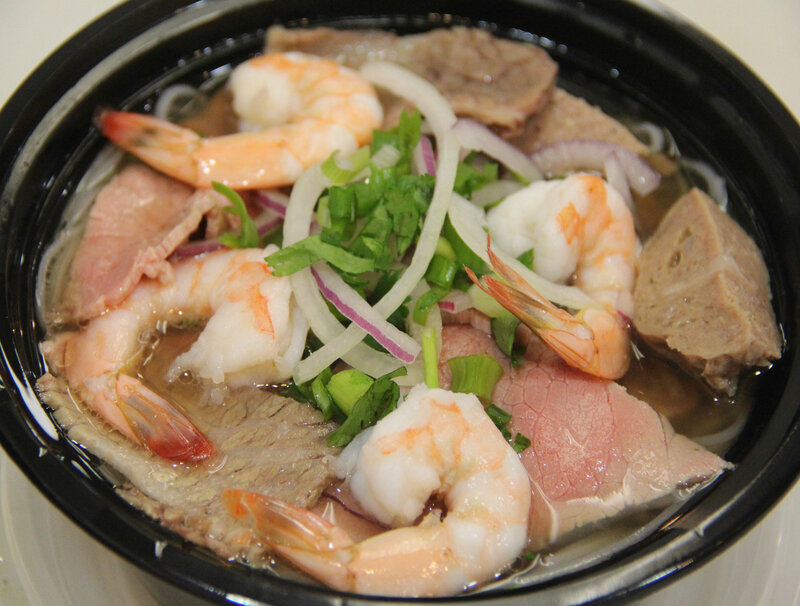 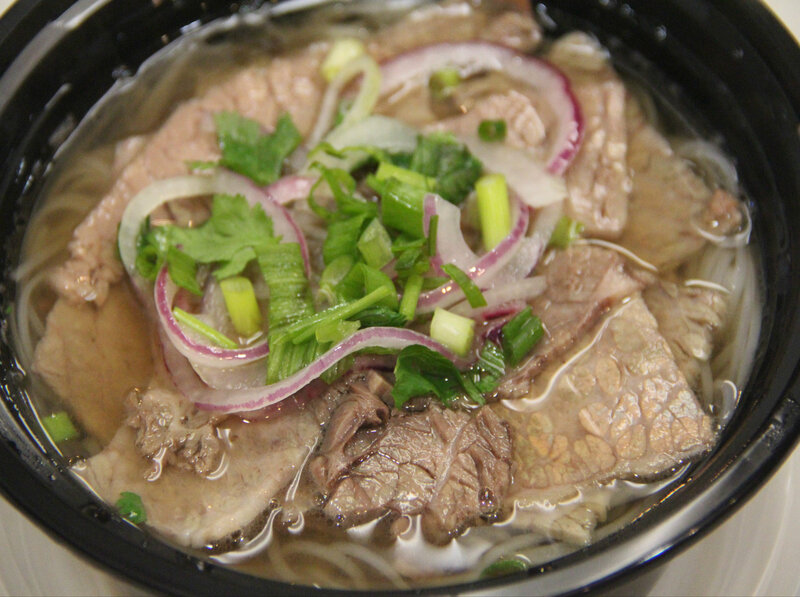 A fragrant slow cooked beef based broth with fresh rice noodles and any choice of a selection below. 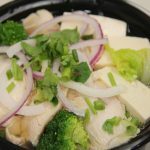 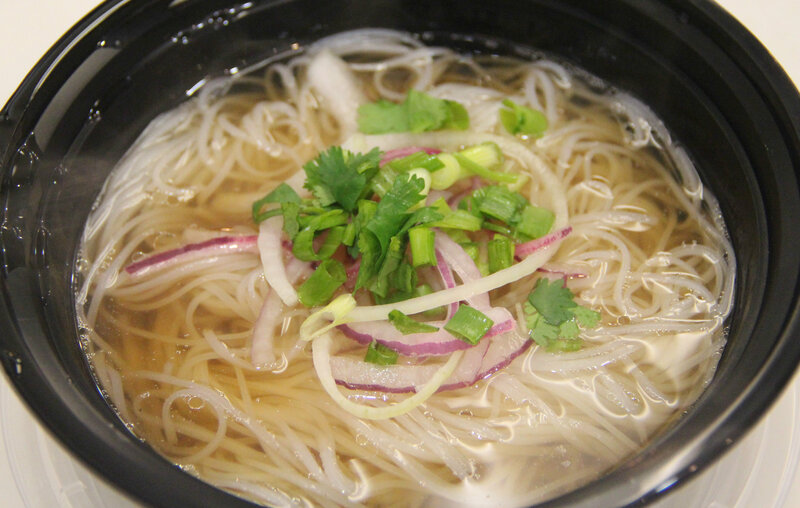 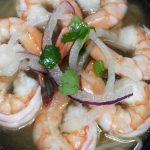 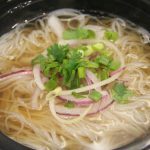 Pho is topped with green and white onions and cilantro, and is served with a side of bean sprouts, basil, jalapenos, lime, Hoisin sauce, and Sriracha spicy sauce. 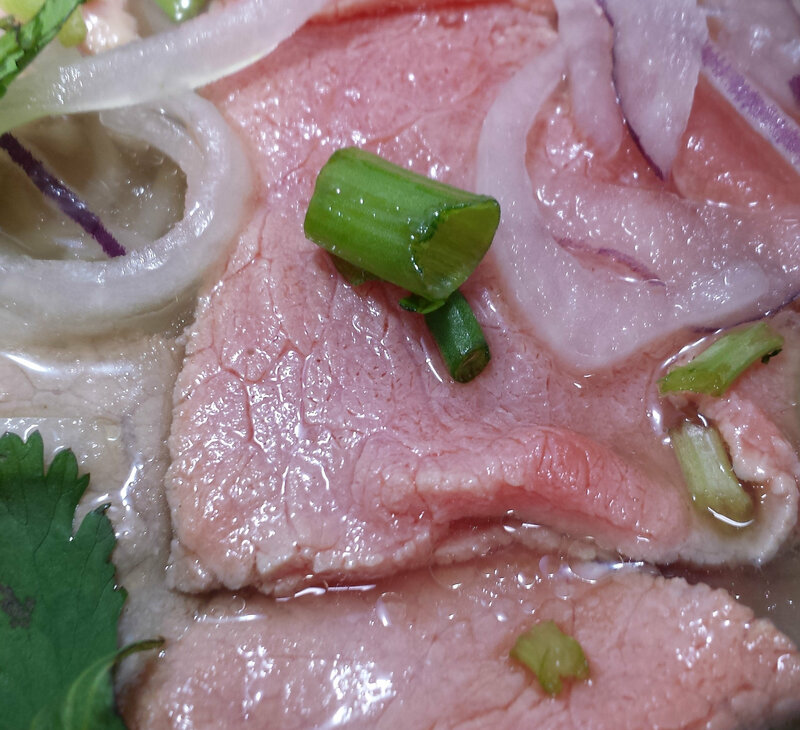 Substitute regular beef broth with SPICY chili n’ lemongrass beef broth, +1. 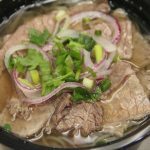 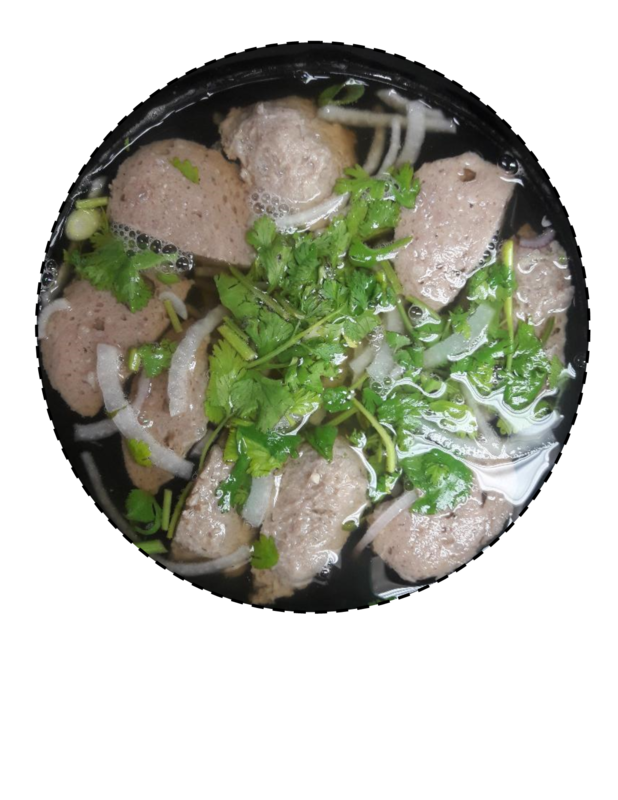 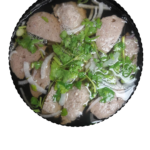 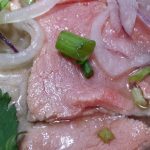 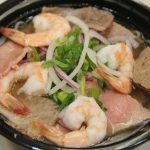 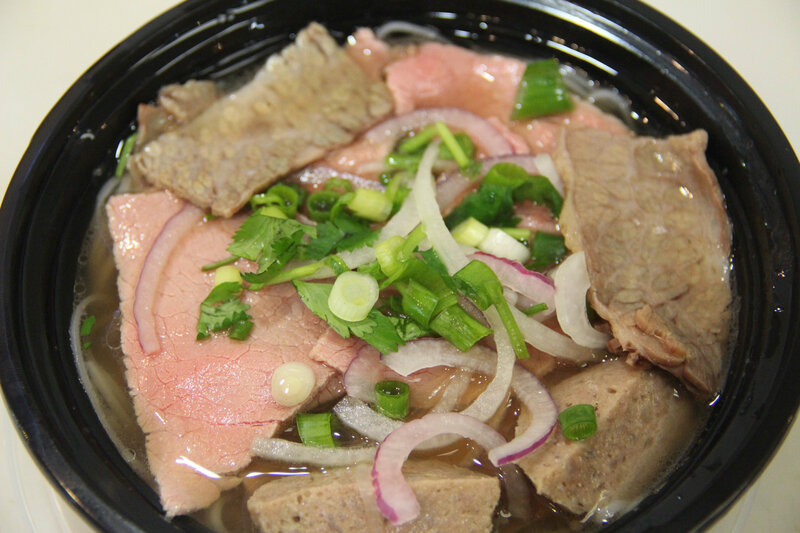 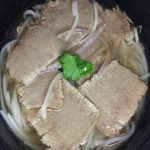 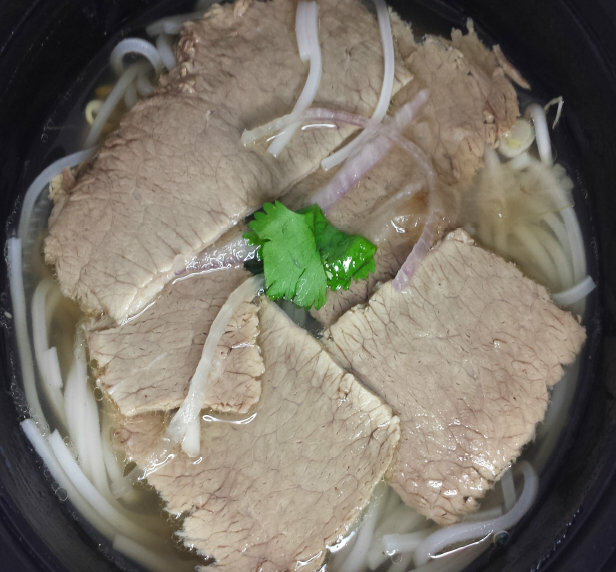 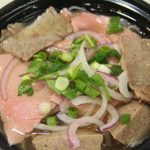 Pho with Eye Round Steak. 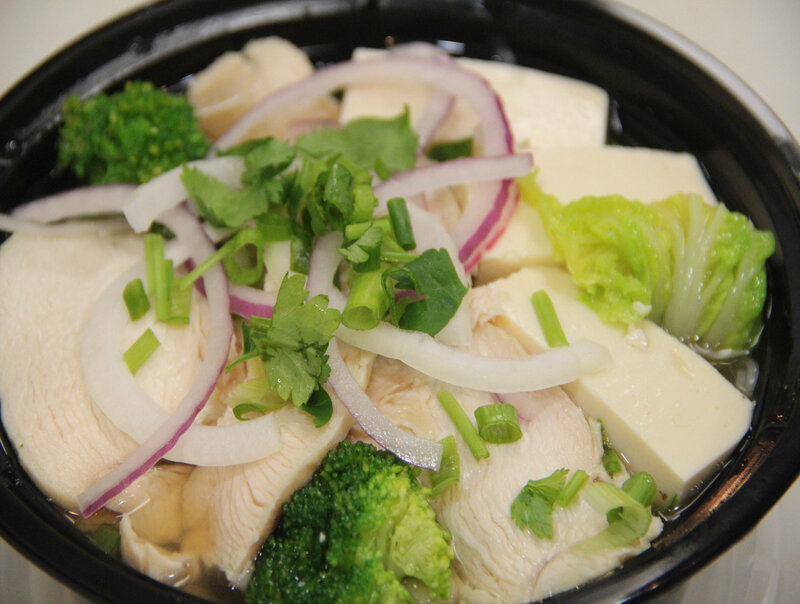 Pho with steamed broccoli, napa, carrots, and soft silky tofu (in beef broth). 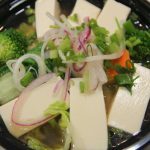 Fried tofu +0.50. 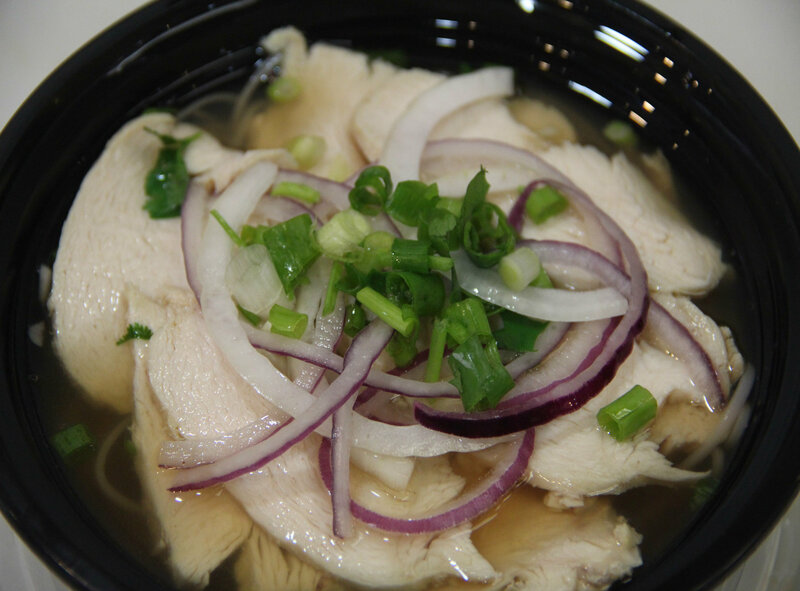 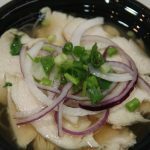 Pho with sliced chicken white meat. 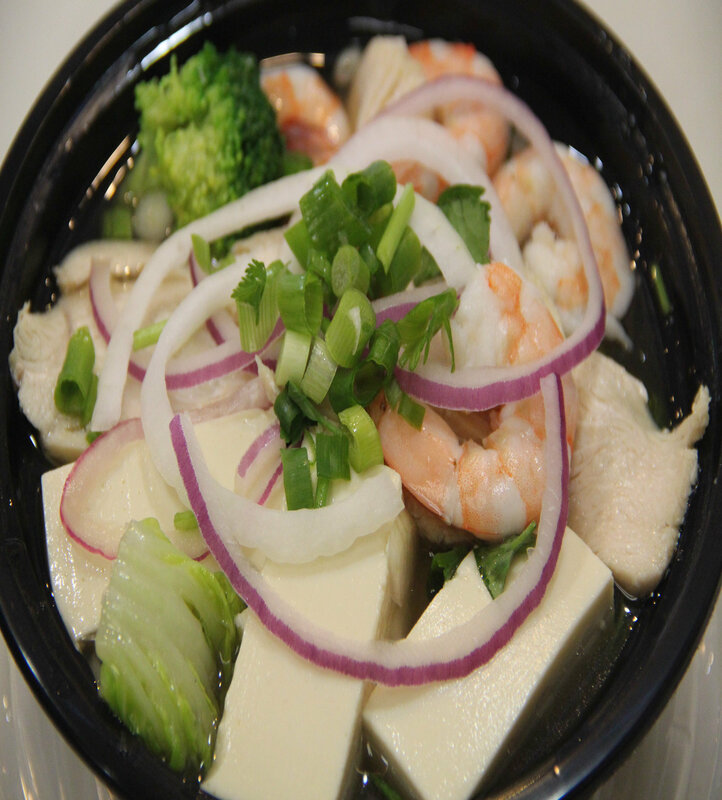 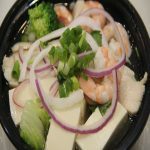 Pho with shrimp, sliced chicken white meat, steamed broccoli, napa, carrots, and soft silky tofu. 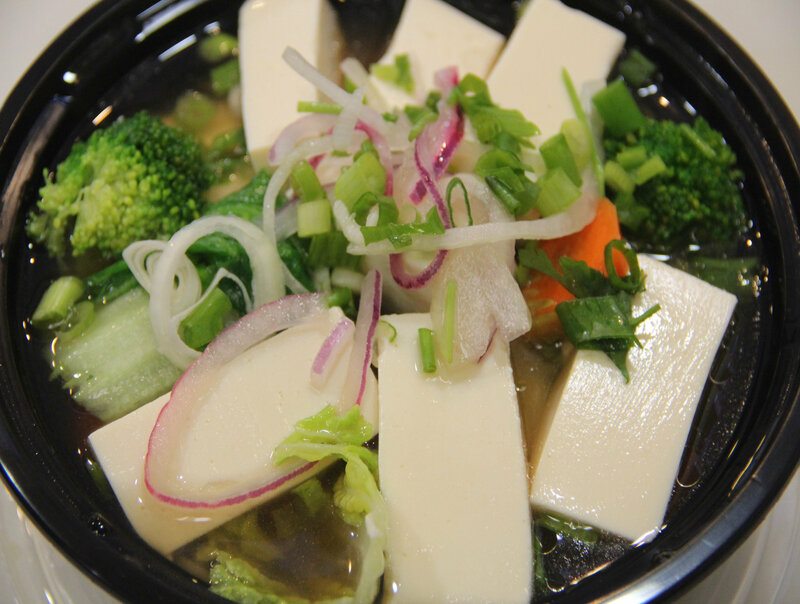 Fried tofu +0.50.